During the Public Comment period at the January 20, 2014 Huntington Beach City Council meeting a total of 46 people spoke on the agenda item to repeal the HB plastic bag ban. 12 persons spoke in support for repealing the bag ban and 35 spoke in favor of keeping the plastic bag ban. It should be noted that of the 35 speaking in opposition, that the majority identified themselves with one or more environmental organizations or were from out of town. That participation by out-of-town activists is not appropriate and that it is not right that outside groups should try to control the bag ban issue in Huntington Beach. That two popular City Council incumbents lost their last election because they did not want to give the people a chance to vote on the issue. That the ban was wrong headed and that it was heavy handed government and forced on Huntington Beach residents by four member of the city council. That the Bag Ban lacked metrics and benchmarks to determine its effectiveness. That people who use public transportation don’t always have reusable bags with them. That the issue is one of freedom and liberty and that the citizens of Huntington Beach are adults and deserve to be treated like adults who can make their own choice. That Huntington Beach is “Surf City USA” and is a crown jewel along California’s coast. That Huntington Beach is a tourist destination and tourism provides jobs and income. That there is a moral obligation to the environment and to keep our beaches clean. That we need to think of the future and that the next generation should not have to deal with all the trash. That plastic bags are an economic and pollution issue not a freedom and liberty issue. That last fall’s election was not a referendum on the plastic bag ban. That a plastic bag ban is a move in the right direction to reduce plastic consumption. That the bag fee is an important reminder to bring reusable bags. One of the opponents of the repeal effort, Jeff Kaufman, a member of the Surfrider Foundation stated that their organization hosts 20-30 beach cleanups every year and do it for free. He stated that there are as many as 350 volunteers who collect approximately 1.5 lbs. of trash each for a total of 525 lbs. per cleanup. One opponent suggested a compromise, ban the thin-film plastic bags and eliminate the fee on store provided paper bags. Mayor Jill Hardy gave Councilmember Mike Posey the floor to begin discussing the agenda item to repeal the Huntington Beach plastic bag ban. Councilmember Posey stated that the government conspired with the grocery industry and paper bag manufacturers to institute a 10-cent charge to pay for the higher cost of paper bags when plastic bags are banned. He stated the fee is punitive and designed to retrain you. We should all stand up to that and make our own choice, we are grownups. Posey asked the question why we are stopping with banning plastic bags. Why not diapers or smoking in cars? He stated that his favorite economist is Thomas Sowell who said that “Weighing benefits against costs is the way most people make decisions — and the way most businesses make decisions, if they want to stay in business. Only in government is any benefit, however small, considered to be worth any cost, however large.” And the cost is convenience and the cost of freedom. The fee creates resentment. Posey went on to state that if the goal is to improve the environment the ordinance fails to deliver. The EIR acknowledges that emissions of greenhouse gases will increase but to an acceptable level. When is that OK? He also stated that the government has no business instituting price controls. WIC and SNAP clients don’t pay for bags! Councilmember Billy O’Connell also stated that the main issue for him is personal freedom. Councilmember Peterson stated that his main issue is also personal freedom and responsibility. He said someone told him that that is old school. Personal freedom and responsibility is not old school, it’s the Constitution. He stated his responsibility is to protect our rights and the Constitution. How we carry our groceries home is our responsibility and not the critics. He also stated that both the plastic bag companies and the grocers are making money. Councilmember Dave Sullivan stated that the 10-cent bag fee is a bribe, without it the grocers would be here to repeal the ordinance. Councilmember Barbara Delgleize stated that the ordinance is not well thought out. And that the 10-cent fee is what did it for her. She stated that Manhattan Beach and Dana Point have no fees associate with their bag bans. She also applauded Surfrider Foundation for the beach cleanups the group performs. She also stated that you have to think of unintended consequences. Councilmember Jim Katapodis stated he was in favor of repealing the bag ban and let the people decide the issue. Mayor Jill Hardy stated she was opposed to repealing the bag ban because she thought it was a public good, like clean air and clean oceans. She disagreed with the statement that the bag ban was not well thought out, and stated that the ordinance was copied from the city of Long Beach and that an Environmental Impact Report (EIR) was added. She also stated that it is better to err on the side of the environment. That plastic does not biodegrade. She also stated that the purpose of the fee was to support the merchants and to discourage bag use. 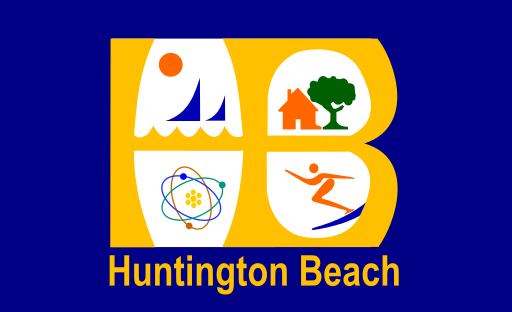 Great for the city council of Huntington Beach, righting a wrong that was put on the people by the previous council. Let the people decide their own choice of bag, cup, napkin, bottled water, or whatever else is going to be vilified next by the behavior control police. Concentrate instead on stopping and cleaning up litter, instead of running around mandating and enforcing bans and fees on businesses and the people. Thank you Huntington Beach city council for recognizing the nanny-state law for what it is, plus the fact that the people of California will be voting on this at a statewide level anyway, so a local law is not needed.